Mr. Coil, the late California lawyer, spent twenty-five years collecting material for this book. 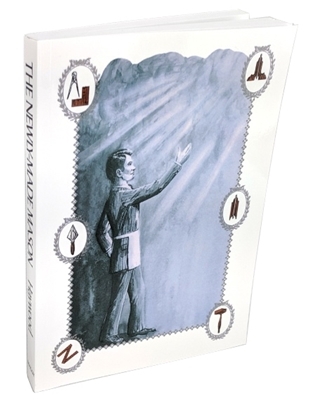 With the help of three of America's most reliable Masonic scholars, Coil compiled what has become a classic in fraternal circles. In the 20 years since its original publication, this volume has stood the test of time. The range of this reference work is wide. The book includes concordant orders throughout the world as well as the organizational structure in the US. Coil is well versed in his symbolism and he includes entries on jurisprudence as well as history. Over 1750 articles amply discussed from A-Z, plus a Chronology beginning with the 10th Century through the 20th, listing important Masonic events and facts in order of occurrence. PLUS A HISTORY-READING-DIRECTORY. Sturdy library binding. A Macoy Published Book Approximate size: 8 1/2 X 11. ISBN 9780880530545 A small sampling of Coils topics covered in this encyclopedia include: Five orders of Architecture, Masonic Calendar, Masonic Degrees, Eastern Star, Definition of Freemasonry, Masonic Presidents, Masonic Rituals, Scottish Rite.